This specification covers the requirements for glass mat gypsum substrates designed to be used as exterior substrate or sheathing for weather barriers. 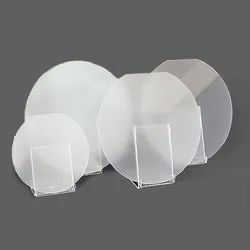 The substrates shall consist of a noncombustible water-resistant gypsum core, surfaced with glass mat partially or completely embedded in the core. Materials shall be sampled, tested, and conform accordingly to specified physical property (flexural strength, humidified deflection, nail pull resistance, water resistance, and core, end, and edge hardness) and dimensional (thickness, width, length, end squareness, and edges) requirements. This material ships as dry granules or powder. Each grade contains particles with an average thickness and surface area. All dimensions represent median sizes and there is a distribution around the mean. 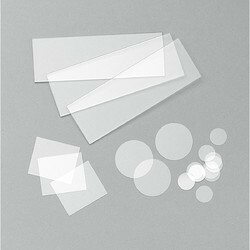 Quartz glass slides substrate by Nanoshel. This material ships as dry granules or powder. Each grade contains particles with an average thickness and surface area. All dimensions represent median sizes and there is a distribution around the mean. Gallium Nitrate Substrate by Nanoshel. 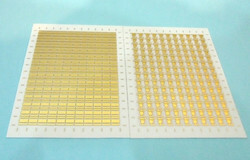 Quality Control Each lot of Copper TEM Grid Tweezer was tested successfully. This material ships as dry granules or powder. Each grade contains particles with an average thickness and surface area. All dimensions represent median sizes and there is a distribution around the mean. TEM Grid Tweezer for Nanopowder Microscopy by Nanoshel. This material ships as dry granules or powder. Each grade contains particles with an average thickness and surface area. All dimensions represent median sizes and there is a distribution around the mean. LAO Single Crystal Substrates by Nanoshel. This material ships as dry granules or powder. Each grade contains particles with an average thickness and surface area. All dimensions represent median sizes and there is a distribution around the mean. 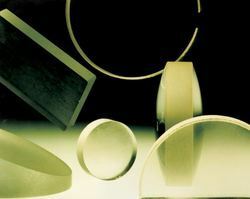 Ceramic Substrate by Nanoshel. 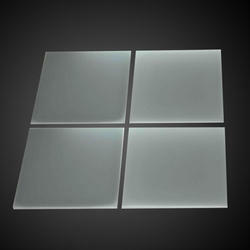 Quality Control Each lot of Aluminium Nitride Substrate was tested successfully. This material ships as dry granules or powder. Each grade contains particles with an average thickness and surface area. All dimensions represent median sizes and there is a distribution around the mean.Aluminium Nitrate Substrate by Nanoshel. This material ships as dry granules or powder. Each grade contains particles with an average thickness and surface area. All dimensions represent median sizes and there is a distribution around the mean. Magnesium Oxide Single Crystal by Nanoshel. This material ships as dry granules or powder. Each grade contains particles with an average thickness and surface area. All dimensions represent median sizes and there is a distribution around the mean. Magnesium Aluminium Oxide Single Crystal by Nanoshel. This material ships as dry granules or powder. Each grade contains particles with an average thickness and surface area. All dimensions represent median sizes and there is a distribution around the mean. 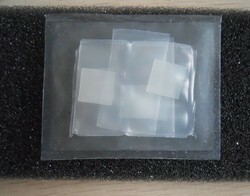 STO Single Crystal Substrate by Nanoshel. This material ships as dry granules or powder. Each grade contains particles with an average thickness and surface area. All dimensions represent median sizes and there is a distribution around the mean. 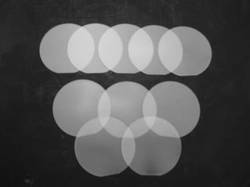 STO Single Crystal Substrates by Nanoshel. This material ships as dry granules or powder. Each grade contains particles with an average thickness and surface area. All dimensions represent median sizes and there is a distribution around the mean. 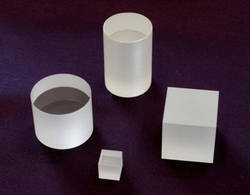 Strontium Titanate Single Crystal Substrates by Nanoshel.